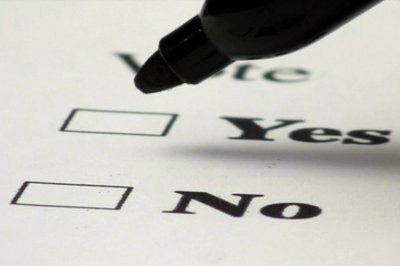 Thursday was the deadline for proposed ballot initiatives to file the hundreds of thousands signatures necessary to put a question on the ballot. Three groups of organizers trucked boxes full of petitions to the state Capitol. The signatures still have to processed and verified. The Arizona Secretary of State’s office has 20 days to complete petition processing. Then counties have 15 days to verify signatures, followed by another three days for the Secretary of State to determine if the initiative qualifies. Followed by the inevitable lawsuits from well-funded special interest opponents. A measure to hike income taxes on Arizona’s wealthiest residents to fund public education needed to collect more than 150,000 signatures in support in order to qualify for the ballot. Organizers said Thursday they filed 270,000 signatures collected over six weeks. Many of the signature-gatherers were the same teachers who went on a six-day walkout this spring to demand increased pay and school funding. Those efforts ended when the state passed a plan to give 20 percent raises to teachers over three years. But activism pressed on through Arizona Educators United, a grassroots group that co-organized the Red for Ed walkouts, which held multiple events to promote the Invest in Ed initiative. The measure would bring in an estimated $690 million for public education by increasing income taxes to 8 percent for individuals who earn $250,000 a year and households earning more than $500,000, with the new higher rate applying only to income earned above those marks. Individuals earning more than $500,000 and households earning more than $1 million would pay 9 percent above those cutoffs —a rate that would be among the top five highest tax rates in the nation. Arizona’s business lobby has come out strongly against the plan. The Arizona Chamber of Commerce and Industry created the Arizonans for Great Schools and a Strong Economy opposition initiative. Jamie Molera, chairman of that group, says the Invest in Ed proposal would harm small businesses. Arizona Education Association President Joe Thomas said he thinks “independent-minded” voters will back the plan, citing overcrowded classrooms and teachers who still are among the lowest paid in the nation. Backers of a proposal to mandate increased usage of renewable energy filed more than 480,000 signatures to get the Clean Energy for a Healthy Arizona initiative on the ballot — more than double what was required. The measure would require electric utilities to provide at least 50 percent of their annual retail sales of electricity from renewable sources by 2030. Such sources would be solar, wind or hydropower, and they don’t include nuclear energy or energy derived from fossil fuels. The initiative already is facing opposition from the Arizona Public Service Co., the state’s largest utility, and others who say the initiative will cost customers, a fight that’s likely to get more intense and expensive between now and November. The Clean Energy for a Healthy Arizona initiative boasted turning in more signatures than any other ballot campaign: “More than double” the nearly 226,000 required of them. It is likely to survive a petition challenge. 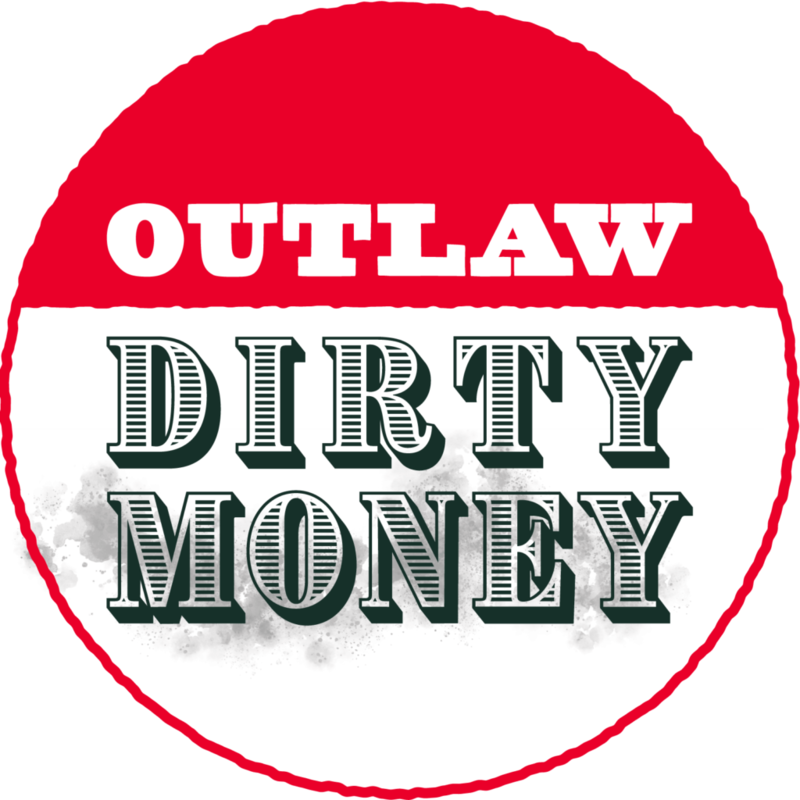 The real fight will come from Arizona’s utility companies, e.g., Arizona Public Services (APS) and its parent corporation, Pinnacle West Capital Corporation, and their “Kochtopus” allies who are going to spend millions in “dark money” on negative advertisements. Organizers of a proposed constitutional amendment that seeks to increase transparency around money in politics filed more than 285,000 signatures. 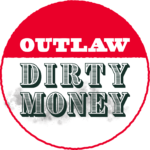 The Outlaw Dirty Money initiative asks voters to approve a constitutional amendment that would require anyone spending more than $10,000 on elections to disclose everyone who contributed $2,500 or more, regardless of whether their contributions passed through any intermediaries. The measure would also empower the Citizens Clean Elections Commission to enforce the disclosure requirements. That nonpartisan entity currently handles candidates who run for office using public financing and other election duties. Arizona is ground zero for “Kochtopus” dark money operations. 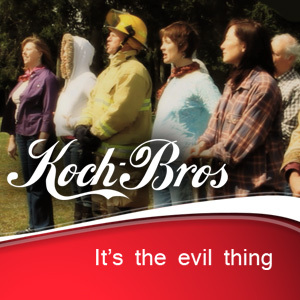 The “Kochtopus” will spend whatever it takes to defeat this ballot measure. The committee submitted 285,768 signatures, just under 60,000 more signatures than needed to make the ballot. This is an uncomfortably small cushion which makes this initiative the most vulnerable to a petition challenge. The Chambers of Commerce and its “Kochtopus” allies will try to knock out this initiative in court to keep it from ever appearing on the ballot. The Citizens for Fair Tax Policy Committee on Tuesday said they filed more than 400,000 for their initiative, another constitutional amendment. This proposal would prohibit sales taxes from being added to services. That campaign is supported by the Arizona Association of Realtors, who say that the measure will help protect their members and customers from possible increased taxes. The legislature’s renewal of the school sales tax this past session to avoid sending it to the ballot for renewal was the first time since Prop. 108 passed in 1992 that the legislature has voted in favor of a tax. Annual attempts to clean up Arizona’s antiquated tax exemptions have been snuffed out by the special interests that benefit from them. There is no real threat of services being taxed. A constitutional amendment to address a non-existent problem is the height of bad public policy. 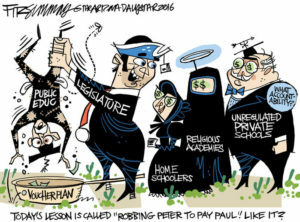 This is exactly what would happen in Arizona to any legislative proposal to impose the sales tax on services. Special interests and anti-tax zealots dominate the Arizona legislature. Therefore, there is no reason for The Protect Arizona Taxpayers Act, and it should be rejected by voters. Voters are set to decide whether to enact Gov. Doug Ducey’s school-voucher-expansion measure approved by the Legislature in 2017. The measure was put on hold last August after opponents turned in enough signatures to put the measure to a vote. Unlike the ballot initiatives, this is a vote on already-passed legislation (referendum) rather than an effort to pass new legislation. This is precisely the type of bad public policy tax credit that become permanent only because of Prop. 108 (1992) the “Two-Thirds for Taxes Amendment,” the GOP’s weapon of mass destruction. If ‘Ann’ is so rich,she can pay for new Dentures for me,since Arizona Medicaid refuses to pay for then for poor disabled people like me. I am one of the”rich”the red for ed initiative wants to pass to require the top income families to fund public education. Apparently they do not think I pay my “fair share”..Here is what I actually paid last year: Nearly $70000 in federal and state taxes. Plus nearly 60% of my property taxes go to public education. And I have a husband in a nursing home which costs $6000 a month, $72000 a year. 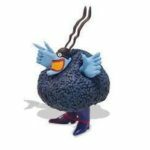 This is what I have to pay off the bat and which doesn’t include all the other financial obligations I have. Since I was a school counselor I have seen first hand that the teachers deserve a salary increase. However, it should be borne by everyone, not just a few. And when I talked with a few of the Red for Ed volunteers collecting signatures they were not totally honest in their approach. They identified themselves as teachers and asked if I thought that a salary increase was warranted. They did not tell me where the money would come from until I pressed them on it. Not honest and kind of sneaky. When people find out what they actually signed I think the initiative will be defeated. If your household is earning more than 500K each year then maybe you should stop complaining. It sounds like you can easily afford the 72K for your husband’s care. Were you planning on taking it all with you? Spend it in the tomb? Like King Tut? Gosh, it sounds like you paid a lot, but how much did you make? And how did you earn it? Were you digging ditches? Or were you enjoying the life of leisure, paying lower capital gains taxes while real people went to do actual work? In other words, are you a producer or a parasite, to go full Ayn Rand. Life is tough for everyone, and we’re all sick of wealthy people whining about paying taxes. Wealthy people pay less in taxes as a percentage of their income than those in the middle and lower income brackets. You’ll never meet anyone more “entitled” than a rich person. For the record, I’ve paid more in taxes than you a few times, because I had some good years, I never whined about it. The realtors have been whining about possible sales taxes on real estate transactions for decades. 30 years ago they were all wearing buttons saying no real estate taxes, in the era where real estate transactions were and are the biggest transactions in the Arizona economy by sales amounts. Other states have transaction taxes on real estate. The best sales tax systems have the widest possible base, and the lowest rates. We have some cities with sales tax totals over 10% now. All because we do bad public policy by walling off whole special interest areas of the economy from any taxes whatsoever, with piles of exemptions and credits to special interests, shifting taxes to those who can’t pay lobbyists. But tons of Arizona voters don’t know the Mayor has no control over schools, how can they possibly know details of tax policy. Special interest depend on this ignorance to win. The idea that we, the voters of Arizona, must be “protected” from any possible actions or activities that might be taken or performed by government representatives who were duly elected to their posts undermines the very concept of a democratic government!! This can and does lead to a Kleptocracy loaded with cronies and more than a few thieves!!! !